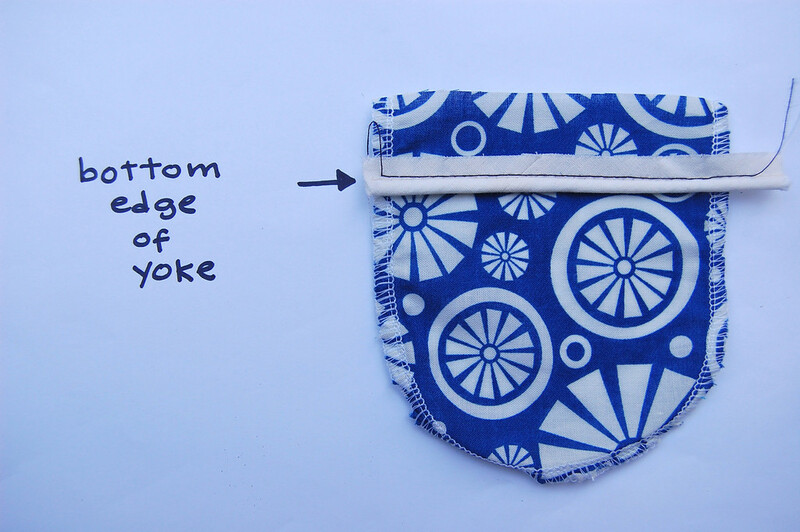 This is the last of the yoked pockets - although technically, I'd call these Pockets-With-Hem-Facings, rather than Pockets-With-Yokes. The yoked portion is there solely for decoration - there is no gathered/smocked/pleated lower region to tuck into it. 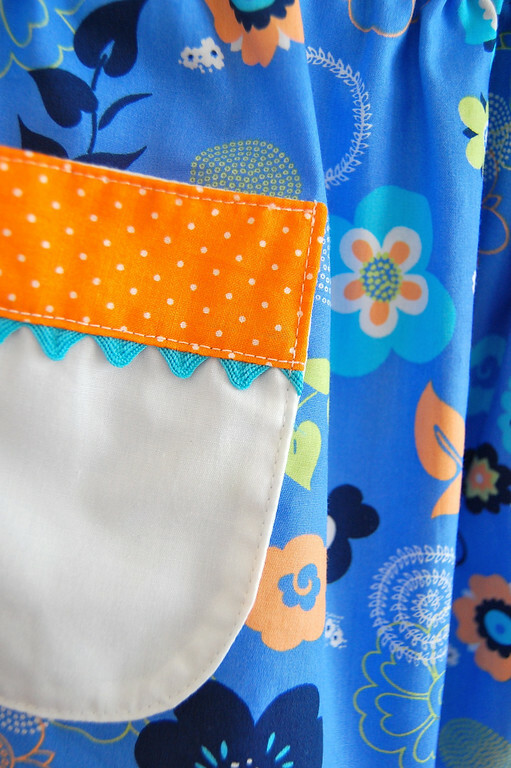 Whenever I make these pockets, I always add piping or trim where the yoke meets the main pocket - the chance to include a third coordinating fabric/color is too good to pass up. 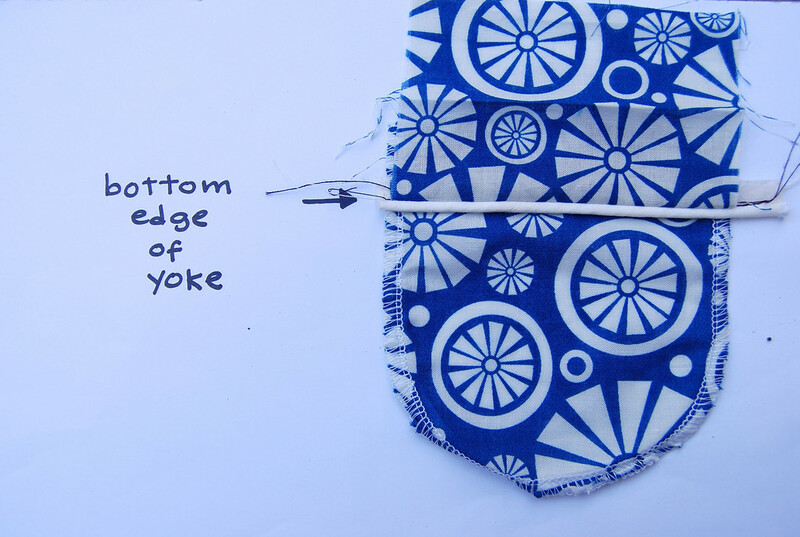 In the first post on yoked pockets, I demonstrated one method of attaching the yoke and said it was one of two methods I use. Here I will show the second method - more direct, not so elegant but good for adding trims. It's exactly like attaching bias tape to an edge, except on a bigger scale. 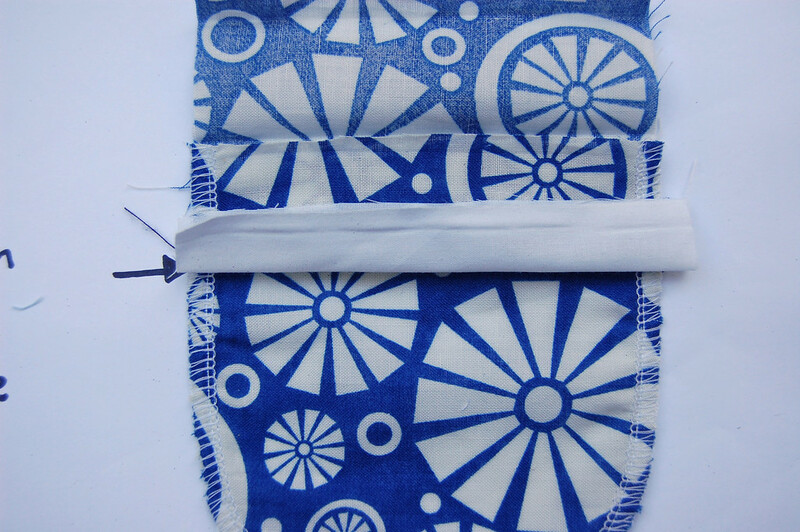 And just like with bias tape, you can start from the wrong or right side. We'll do both, and you can compare them and decide which you prefer. Regardless of whether you're in the Right Side or Wrong Side camp, you'll need the main pocket piece, and the yoke piece. Both are the same width. 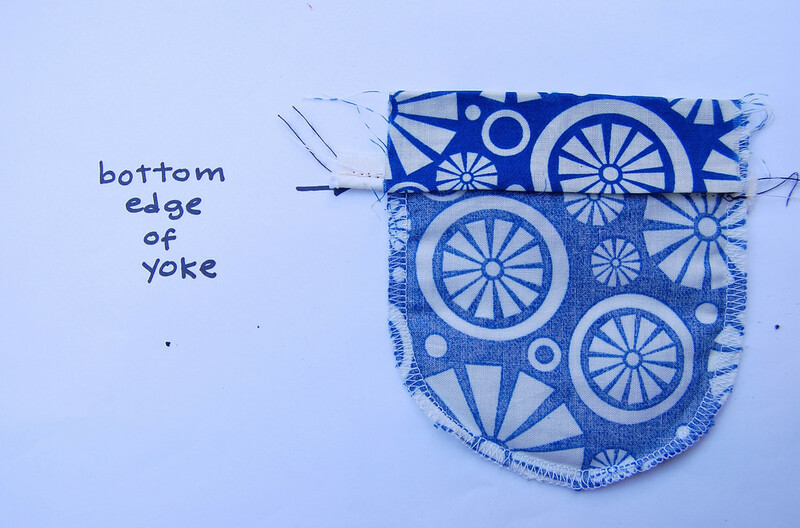 The yoke piece will be folded over, so it needs to be twice the height of the finished yoke. Let's work from the wrong side of the pocket. Mark on the main pocket piece, the position (it will be a line) of the bottom edge of the yoke. 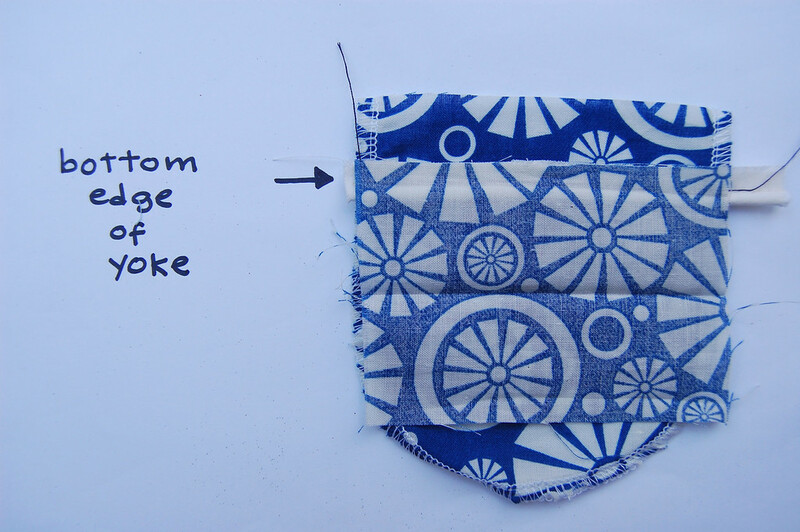 Place the yoke with right side facing the wrong side of the pocket, and sew along the line you marked. Flip the yoke piece up and press the seam flat. 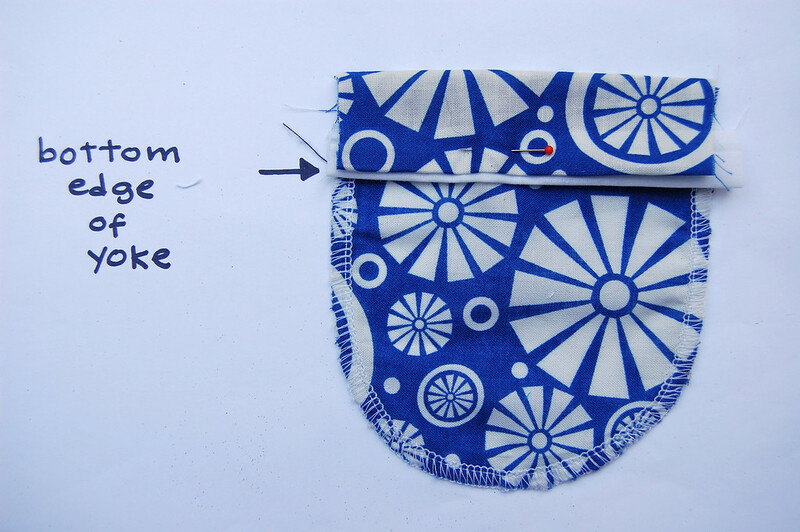 Flip the entire pocket over to the right side. 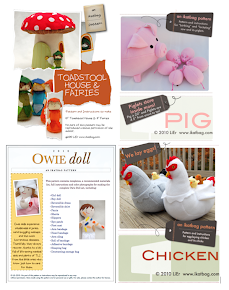 Get piping, or trim. 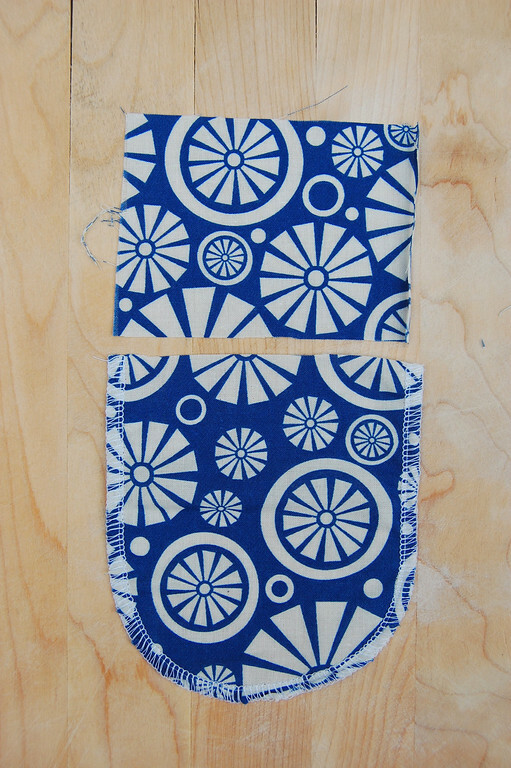 I cut a skinny piece of fabric and folded it in half lengthwise. 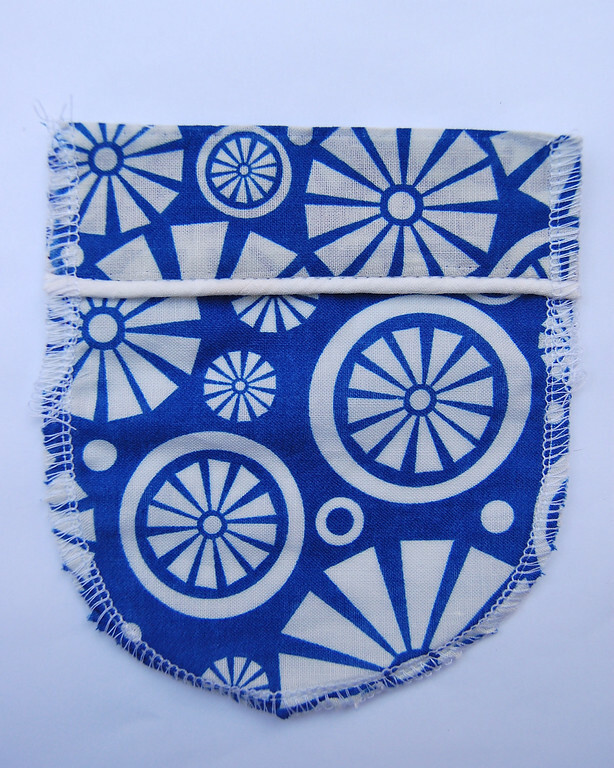 so that it just peeks out from behind the bottom edge of the yoke when that's folded down. 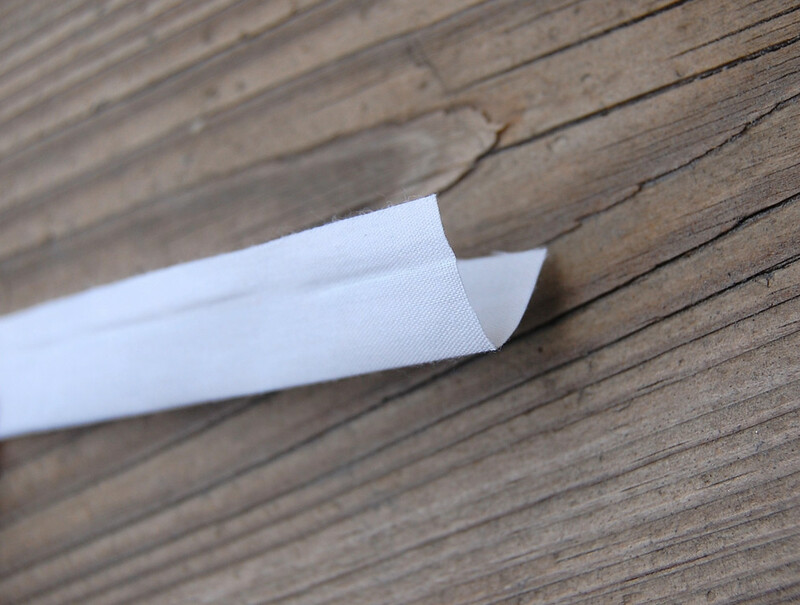 Top-stitch that lower edge in place, trapping the trim in the process. 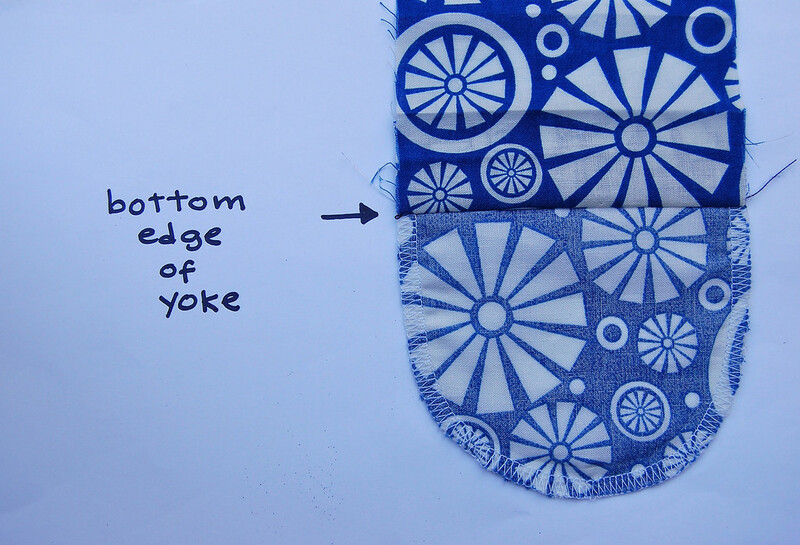 I also top-stitched the top edge of the yoke to match the visible top-stitching on the bottom edge of the yoke. Serge whatever edges are still unfinished (should've done that in Step 1, but I was mass-producing yokes and pocket pieces and didn't think far ahead enough). Top-stitch in place on the garment. 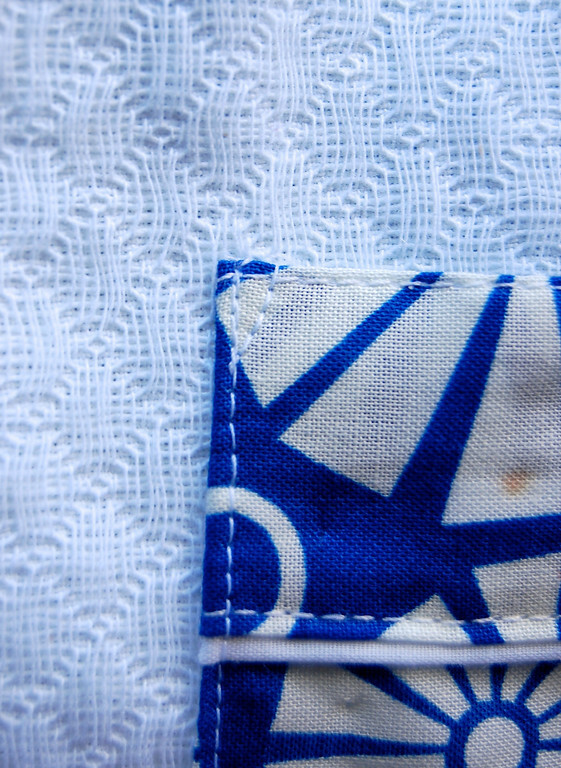 I did those triangles at the corners of the pocket too. 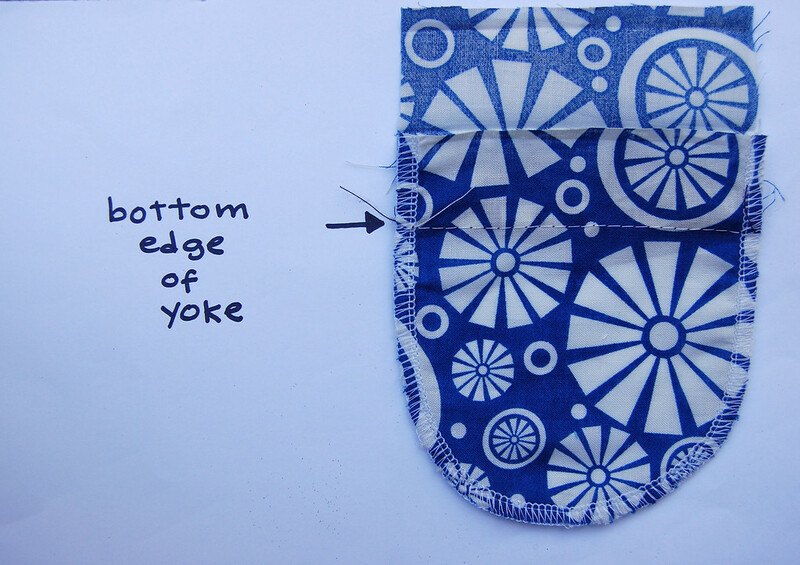 As before, mark the position of the bottom edge of the yoke, this time on the right side of the pocket. 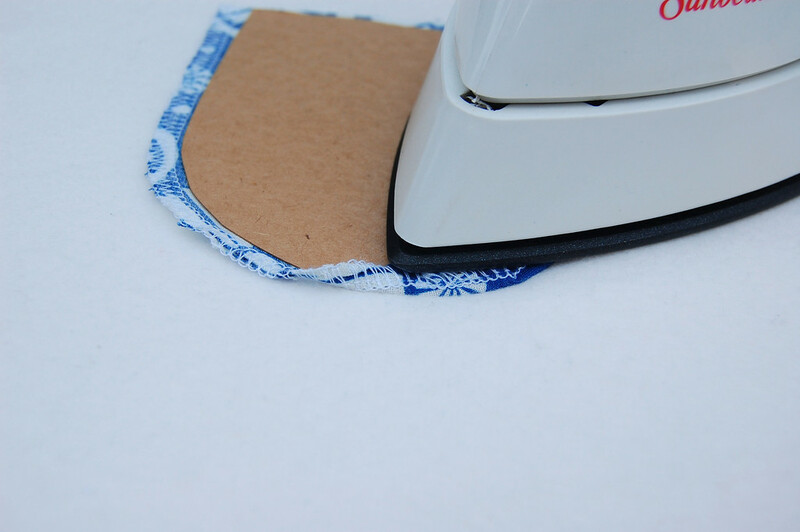 Get your trim/piping, and sew that in place along this marked line. and sew the yoke piece in place. and stitch-in-the-ditch on the right side. 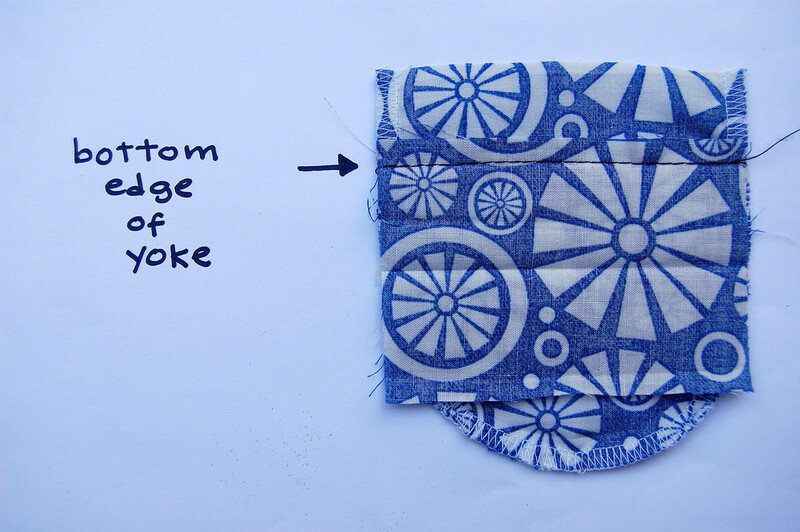 Here's the finished pocket with all its edges finished. 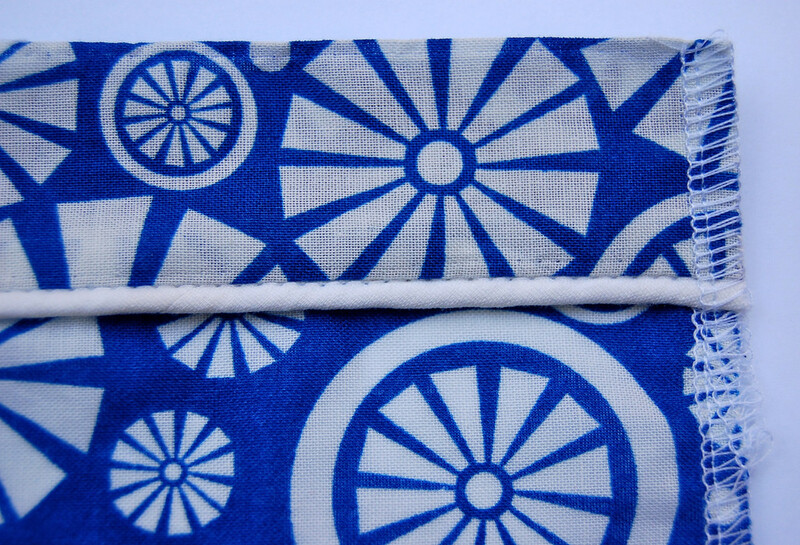 Looks like I lined the entire pocket in this one, too - probably because the white fabric was so translucent. 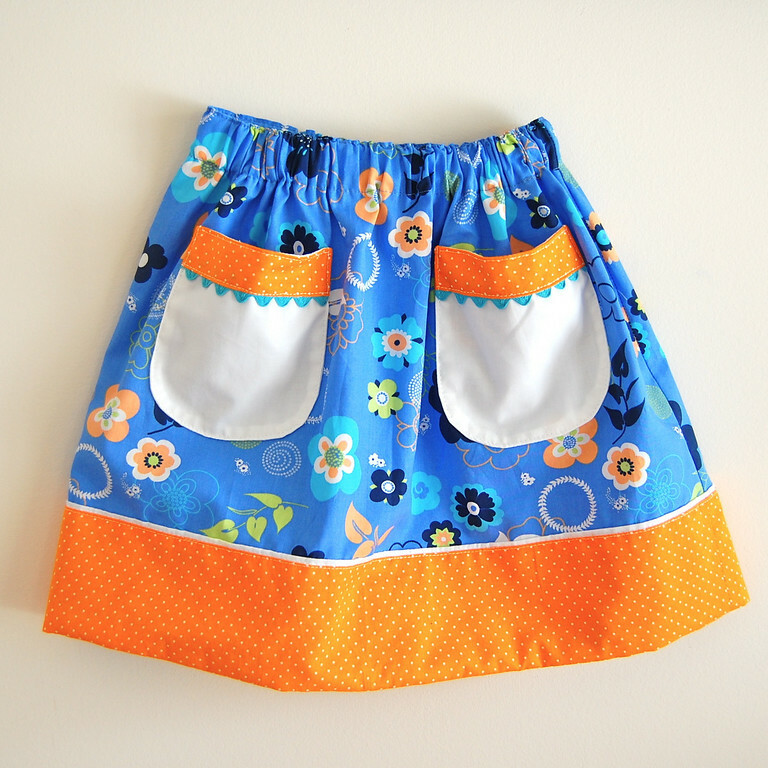 And snuck some trim in the hem facing of the skirt itself as well. 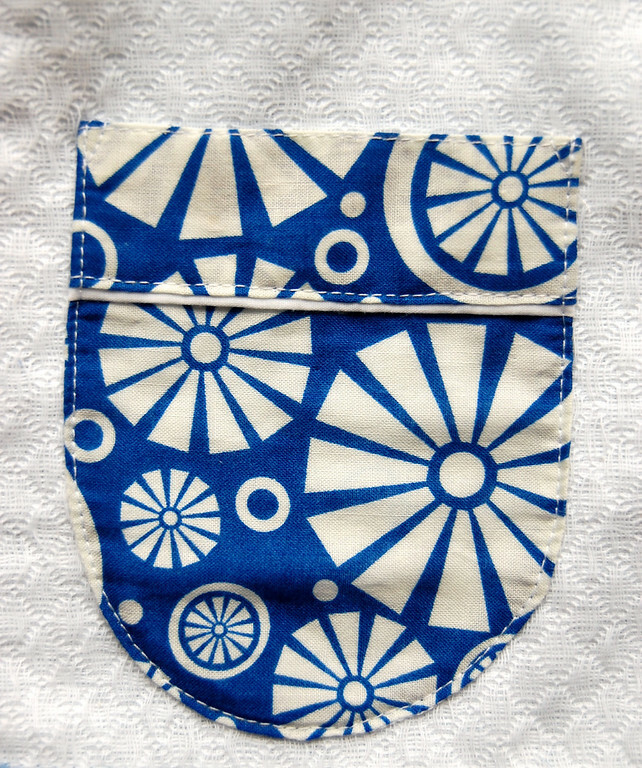 This is the last of the patch pockets in this series. 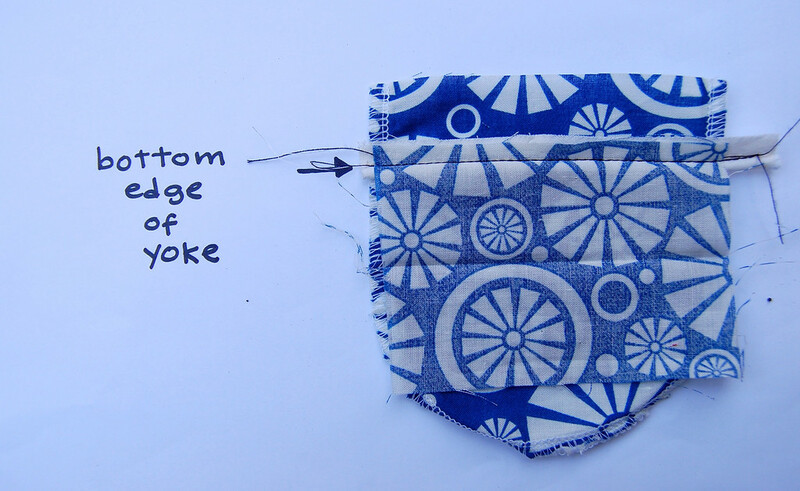 We've done a fair number of them but we're ready to move on to inseam pockets, which are even easier. 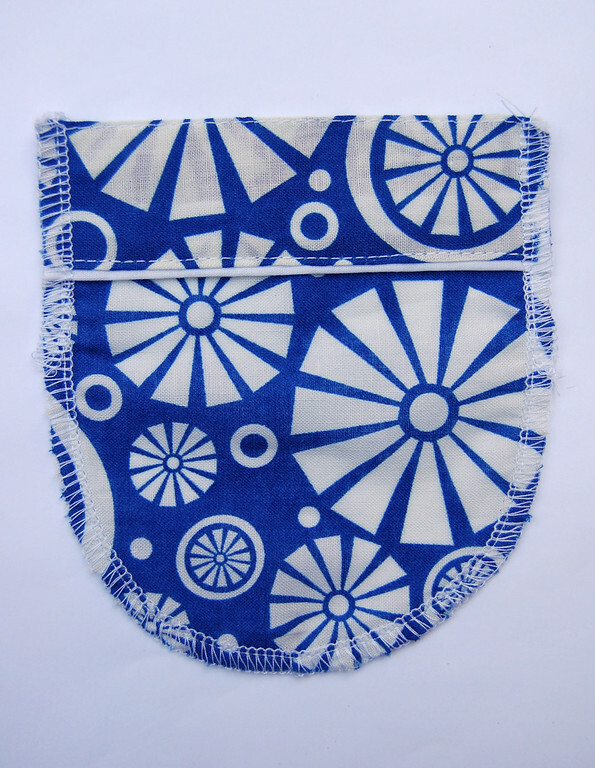 But before we do, we'll be taking a last look at patch pockets, this time on bags. See you back here tomorrow! 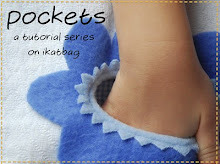 I am finally catching up with your posts, after weeks of craziness here, All these pockets are so cute. Such a wonderful details to little dresses!. I am going to try these out now. 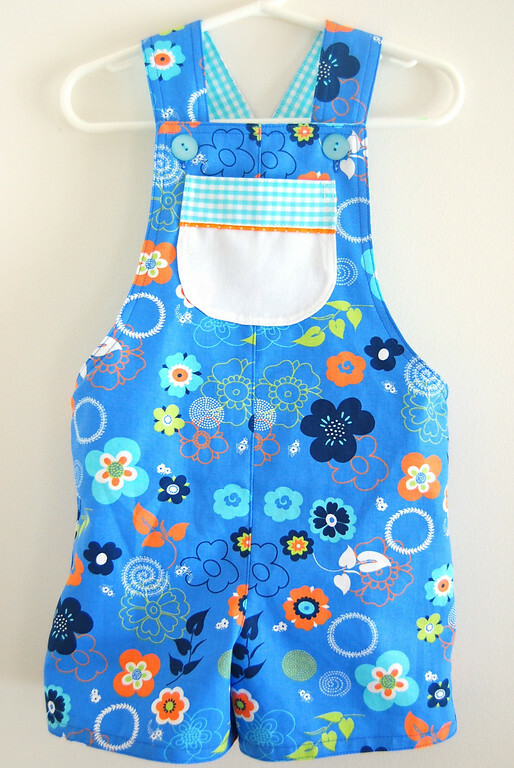 i LOVE adding the narrow pieces of fabric -- just seems to lift the whole garment up a notch or two. you explained the technique beautifully, as always! I really like the bit of trim peeking out!